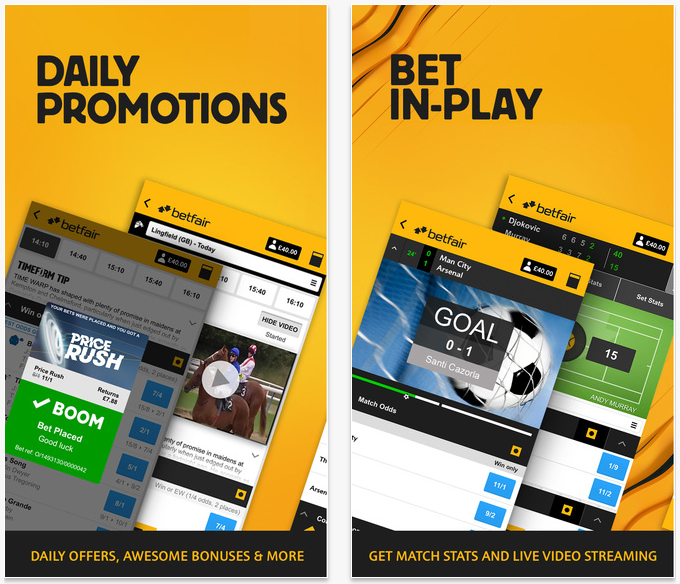 Offering all Betfair account holders the ability to keep up to date with the latest sporting events, live streaming is now available on all devices. The service allows anyone with an account to watch or listen to commentary on their chosen fixtures and matches. All of the UK’s major sports events come under the service, along with many other international ones, just as you would expect from a top-quality brand like Betfair. 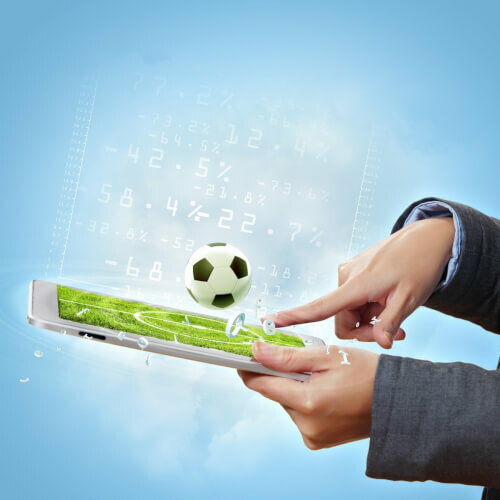 Because Betfair’s live streaming service means that you are kept up to date with all the latest action, the ability to make more knowledgeable bets is improved. If you didn’t fancy the odds before a match started, for example, how about placing a bet once a team has gone one-nil down? Odds and opportunities to bet are reflected in the live events as they happen. Keep one step ahead by betting as you stream. Remember that statistical information is also carried in the service as well as streaming video and audio. With the system’s in-built calendar, it is simple to plan all of your streaming events up to seven days in advance. This means that if you want to keep track on the score of a cricket test match and also fit in two, or more, live football fixtures on a busy Saturday, then it is possible to plan the perfect schedule to do so. Finding the event you want to stream in the calendar is easy. Live streaming of the UK’s top football fixtures are available with the Betfair service. It is possible to watch or listen to commentary from other games around the world, including the Chinese Super League and Romania’s Liga I. For those who want the best in European soccer streaming, then matches from the Bundesliga and La Liga are available, as well. Rugby league and cricket are both featured in the service, offering plenty of chances to place a bet, or simply to enjoy the action. Want to bet on which kicker will gain most points for their team or place a wager on the outcome of a coin toss? It is possible to do so live with Betfair. The service also includes live action from many of the world’s best tennis tournaments including Wimbledon. 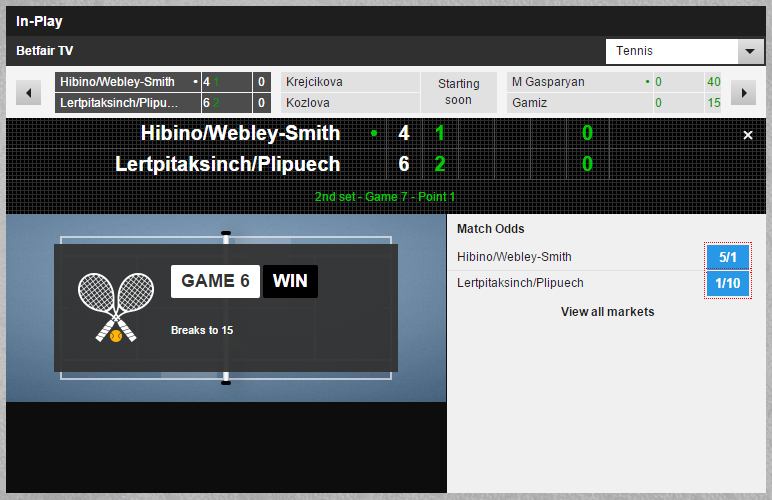 It is possible to see key statistics as a match progresses, for example service points won or double faults that have been conceded. Other sports and events that can be streamed include snooker, basketball, darts and many more. 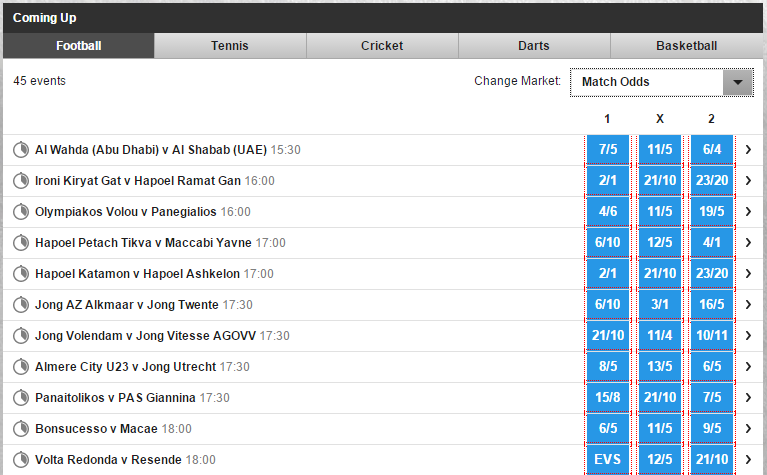 The ability to stream events from Betfair is open to everyone, so long as they are in credit. All you need to run the service is a smart device, such as a phone or tablet. Simply download the mobile app directly from the App Store or Google Play and log in, you will have instant access to the In-Play service. Android users as well as iPad and iPhone owners can take advantage of the service. Sports streaming is then provided over WiFi or through the chosen network operator, depending on where you happen to be at the time. 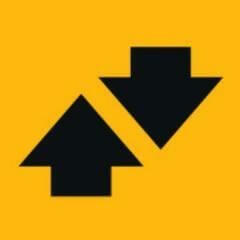 If you are a new Betfair payer you can use the Betfair promotional code also in the mobile app.